Drug is a material and drugs are strictly forbidden by the law of each country. 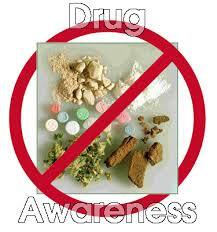 Drugs not only corrupting the nation, but the drug can also cause damage to the body and minds of people who use it. The danger of narcotic drugs also have been in the know all the people today. But still, many are still enjoying illicit goods. This time I decipher what is included in the class of drugs and danger, that we all avoid it. It is inevitable that the drug is the most dangerous plague that plagued mankind throughout the earth. No doubt, that the weakness of faith to God and away the most important factor that led us into the drugs, people who are religious will surely hell away from drugs, it is not likely he will extend his hand to the drug, whether buying, distributing, or smuggling. Therefore, the drug is the devil and God's way is not possible to meet with the devil. In Indonesia, a drug addict is the rapid development, the drug addict is generally aged between 11 to 24 years, mean age is of childbearing age or the age of the student, initially taking the drugs students are usually those who are familiar with smoking, because smoking seems to have be normal among students today.